Style building has always been a matter of much attention in each project, whether building or house owners. 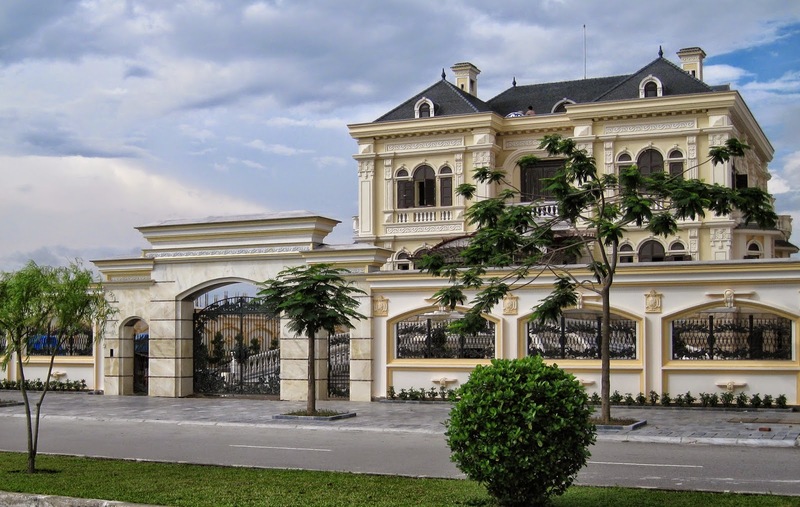 From now, we can see that the newest designing trend for house and villa is antique style. A typical house in European style. The new casting methods and materials now will allow us to create subtle patterns, special color with antique style. In this article, we will refer to these designs use aluminum castings are made antique style. Previously, raw and hard material are often chosen to creating the gate, the door for our house. This stems from the demand to ensure the safety of the owner as well as inside the campus. 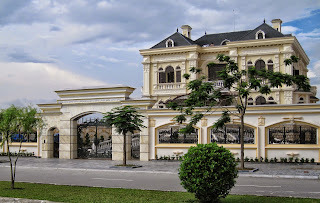 However, this has now changed, the port gates, fences and even design becomes more sophisticated, to become part of the decor for the entire scene, while ensuring the security requirements. Therefore, instead of iron, wood … aluminum cast is invented. This material is now very widely used because of it"s character: lightweight and durable. In addition, aluminum is also shown advantages when used in Vietnam with the tropical wet climate. Most metal materials are treated the surface to minimize corrosion of the external environment. But over time, the material also becomes rust, weld cracking, exterior paint is also affected, causing unsightly house. So aluminum cast materials is becoming popular and more widely used in the construction industry - interior design and exterior. The gate of the house becomes lighter and easier to open. The cost of the design - manufacturing also reduced by the surface treatment, welds are minimized but still ensuring the quality of the product. To create such products, casting technology is a decisive factor, the absolute impact on the quality of the product. The advent of vacuum casting technology V-Process has given our customers the best choice for secure gates of the house. V-Process Lines operates under the stringent standards of Japan, the product is guaranteed to comply with a closed process to ensure the design quality always at the best. With new stylish design, most of the buildingsand villas in recent times have been designed in a European style. And of course, to combine the house"s design, brings true beauty and sophistication for architecture, antique cast aluminum gate was selected to equip the houses in this style. As stated above, the products are made by V-Process technology not only inside the impression but also color, pattern is satisfied the increasing demands of customers and markets. Compared with the previous design style, antique style of 2013 has changed to suit the demand of the customer. The patterns and detail become more cumbersome and less picky. Color in dark tone or bronze makes the gates become plush, bearing little mystery from European style. White stone is selected to build the port, which adds to the majesty of the house. Now, Asuzac ACM is the only manufature ofaluminum gates and products in Viet Nam, using V-Process technology , to ensure Japanese quality standards. Please contact us as soon as possible to get the best advice for your home.